WDM (Wavelength Division Multiplexing) is a commonly used technology in optical communications. CWDM and DWDM MUX/DEMUX are two important components in WDM systems, which are often deployed to join multiple wavelengths onto a single fiber. There are some ports on CWDM and DWDM MUX/DEMUX like channel port, line port, monitor port, etc. 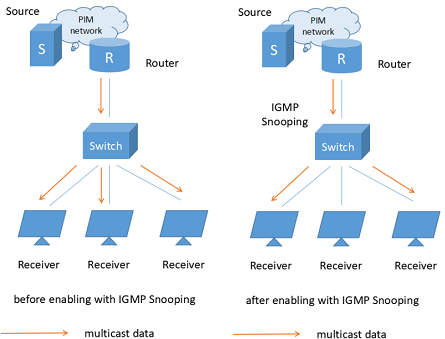 This article will focus on discussing the functions of ports on CWDM MUX/DEMUX. CWDM MUX/DEMUX (Coarse Wavelength Division Multiplexer/Demultiplexer) is a flexible, low-cost solution that enables the expansion of existing fiber capacity. CWDM multiplexer is for combining signals together, while demultiplexer is for splitting signals apart. The wavelengths used in CWDM implementations are defined by the ITU-T G.694.2, listing 18 wavelengths from 1270nm to 1610nm with a channel spacing of 20 nm. CWDM Multiplexer/Demultiplexer is designed to support a broad range of architectures, ranging from scalable point-to-point links to two fiber-protected rings. For CWDM MUX/DEMUX, channel port and line port are the most common and necessary ports for normal operation of the CWDM Multiplexer/Demultiplexer. A CWDM MUX/DEMUX usually has several channel ports on different wavelengths. Each channel port works for a specific wavelength. CWDM Multiplexer/Demultiplexer uses 18 wavelengths ranging from 1270nm to 1610nm with a channel space of 20nm. The number of channel ports on CWDM MUX/DEMUX is usually ranging from 2 to 18. Line port of CWDM MUX/DEMUX can be divided into dual-fiber and single-fiber types. The wavelengths’ order and the applications of them are totally different. Dual-fiber line port is used for bidirectional transmission, which means the TX port and RX port of every duplex channel port supporting the same wavelength. The CWDM MUX/DEMUX with dual fiber line ports installed on the two ends of the network could be the same. However, single-fiber line port only supports one direction data flow, thus the transmit and receive port of the duplex channel will support different wavelengths. The wavelengths’ order of single-fiber CWDM Multiplexer/Demultiplexer should be reversed at both sides of the network. Except for the common ports, some special ports can also be found on CWDM MUX/DEMUX for particular needs. 1310nm and 1550nm ports are certain wavelength ports. The port can be used to combine an existing legacy 1310nm or 1550 nm network with CWDM channels, allowing the CWDM channels to be overlaid on the same fiber pair as the existing 1310nm or 1550 nm network. Besides, the wavelengths which are 0 to 40 nm higher or lower than 1310 nm or 1550 nm cannot be added to the device. Many optical transceivers, especially the CWDM SFP/SFP+ transceiver, use these two wavelengths for a long-haul network. Expansion port is used to add or expand more wavelengths or CWDM channels to the network. It means that when a CWDM MUX/DEMUX cannot meet all the wavelength needs, it is convenient to use the expansion port to add different wavelengths by connecting to another CWDM Multiplexer/Demultiplexer line port. However, not every CWDM MUX/DEMUX has an expansion port. Monitor port is used for signal monitoring or testing. If you choose a single-fiber CWDM MUX/DEMUX, the monitor port should be a simplex fiber optic port. For a dual-fiber MUX/DEMUX, you can add a duplex or a simplex monitor port for the whole network monitoring. The common ports and the special ports on CWDM MUX/DEMUX all have their own features and application. Certainly, CWDM Multiplexer/Demultiplexer is a popular technology which can provide cost-effective solutions for users to upgrade their network. 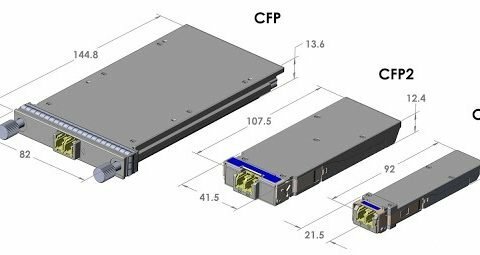 Do You Know These Tips about CFP Optical Transceivers? ← How to Identify the Fiber Patch Cord Color Code?